OSA #GivingTuesday is THIS Week! 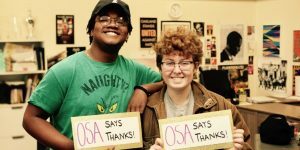 OSA is asking for a tax-deductible gift of $2,250 to support your student, but a gift of any amount matters! Please make your tax-deductible gift today. “Like” the OSA Facebook page so you get the #GivingTuesday posts. On November 27, share the OSA #GivingTuesday Facebook posts or create your own personal fundraiser with a story or picture describing why people should consider giving to OSA. OSA #GivingTuesday is THIS Tuesday (November 27)! Join us on Tuesday, November 27 for this global 24-hour event to show your philanthropic spirit and celebrate all that we love about OSA! This year, all #GivingTuesday gifts will support purchasing Chromebooks! We have a goal of $20,000 to get one big step closer to providing one Chromebook per student. Make an early #GivingTuesday gift to show your support for an OSA education. Thank you for being part of the Oakland School for the Arts community! We are grateful for your support. OSA Intersession is a full day immersion for all students and staff depart the school to experience different communities through exploration, team building, community service or personal growth opportunities. These activities will help students learn more about their community, explore art and history, engage in new physical activities and develop personal goals. Projects and activities are being planned based on interest, grade level or local community resources. Proposed trips include visits to historical sites, local museums, parks, writing poetry, biking, college tours, art marking and community service. We are seeking the help of community partners. Some of the ways community partners could be involved include: leading or assisting with a workshop, helping arrange a site visit/tour of your place of business. If you would like to help facilitate an Intersession event-please contact Katy Zaugg (kzaugg@oakarts.org) and Kris Bradburn (kbradburn@oakarts.org) to share your ideas. 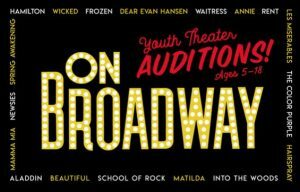 OSA students – we want your input as well! Please email Katy Zaugg (kzaugg@oakarts.org) and Kris Bradburn (kbradburn@oakarts.org) to share your ideas on what Intersession day you would like to help create. The Middle School Dance is this Friday, November 30, and features a Winter Wonderland theme. Tickets will be on sale in room 248 during lunch for $5. Tickets cost $7 at the door. Soda and pizza will be available for purchase for $1. The dance starts at 6:30 pm and ends at 9:00 pm. Please pick up your child promptly. 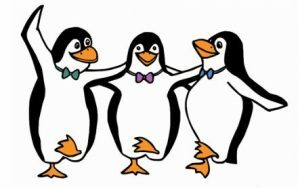 If your child will be attending the dance but going home on BART or bus, or with another parent, please email Mrs. Yan at cyan@oakarts.org BEFORE the day of the dance with pertinent information. If you would like to chaperone the dance, help decorate, or pick up supplies, please email Mrs. Yan. Thank you! To order school pictures already taken, use your student’s unique Image Locator number that was printed on the custom envelope sent home by the teacher. If you didn’t receive an access code, use the Shooting Stars Access Code Request Form to get one.